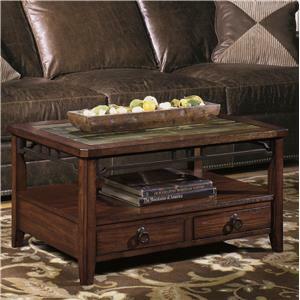 The beauty of this cocktail table will fill you with pride over your living room. 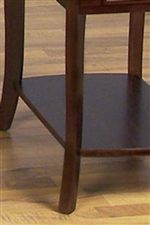 The dark Espresso finish creates a look that is soothing and pleasing that is illustrated through the contemporary design of the table. 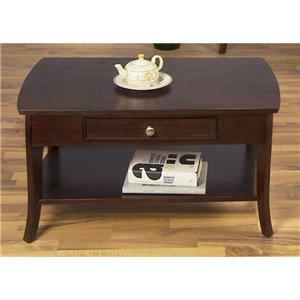 This table features one drawer and a shelf for several storage options, providing functionality in addition to beauty, making this table a great addition to your home. 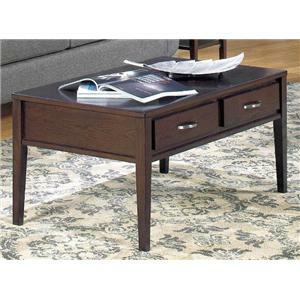 The 5010 Table Group Rectangular Cocktail Table with 1 Drawer by Null Furniture at Stuckey Furniture in the Mt. Pleasant and Stuckey, South Carolina area. Product availability may vary. Contact us for the most current availability on this product. The sleek design of the 5010 occasional table collection will give your living room that touch of style you've been looking for. 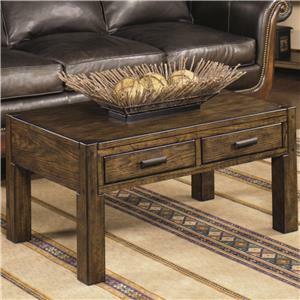 The dark Espresso finish, flared legs and tapered feet establish a warm, soothing atmosphere in the home that provides you with a comforting feeling. 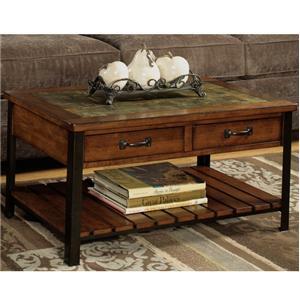 Each table features extra storage space with one drawer and a lower level shelf underneath the table; perfect for storing extra books, magazines or any other personal items. 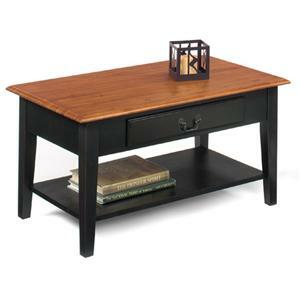 The overall design and functionality of these tables make them a great addition to your home. 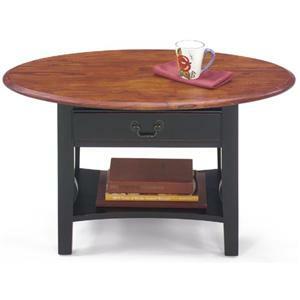 The 5010 Table Group collection is a great option if you are looking for Contemporary furniture in the Mt. Pleasant and Stuckey, South Carolina area. 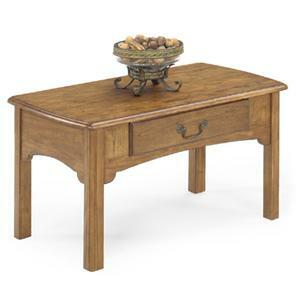 Browse other items in the 5010 Table Group collection from Stuckey Furniture in the Mt. Pleasant and Stuckey, South Carolina area.